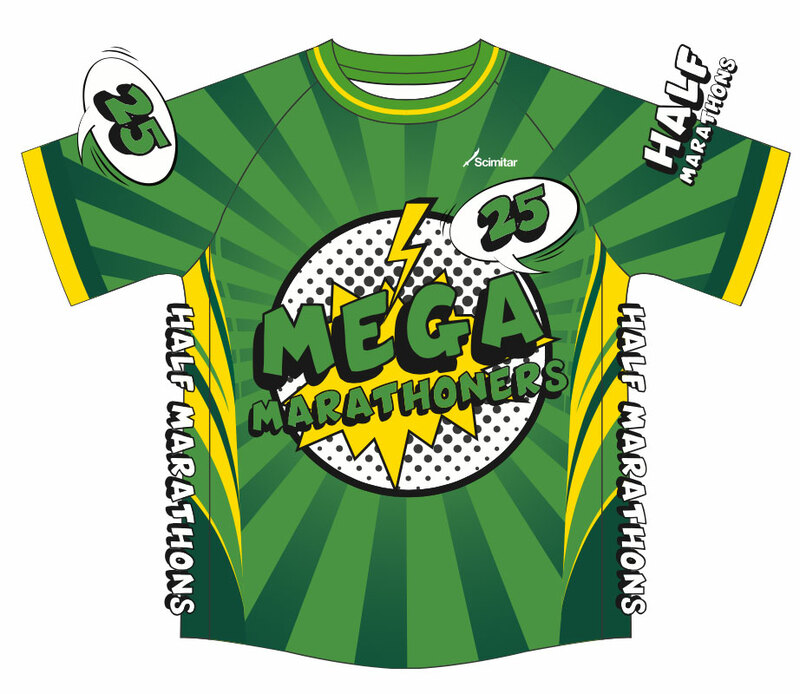 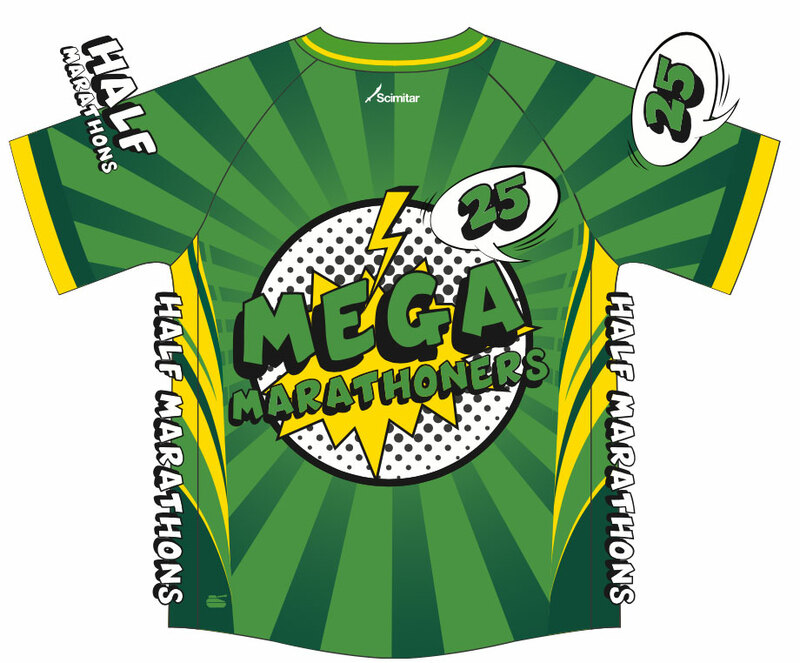 Striking green Mega Marathoners Half Marathon Short Sleeved Shirt! 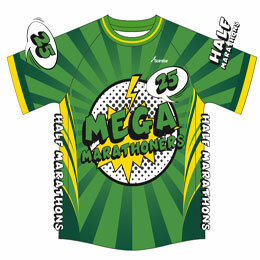 Highest quality Scimitar subliminated manufacture that won't fade or rub off! 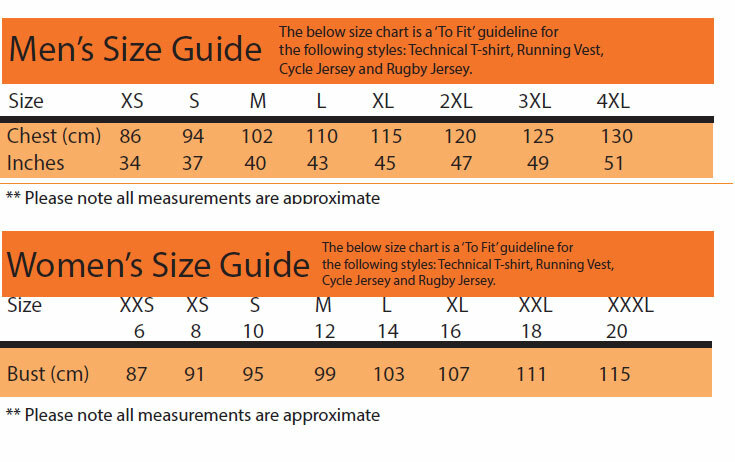 Available in Mens and Womens fits.